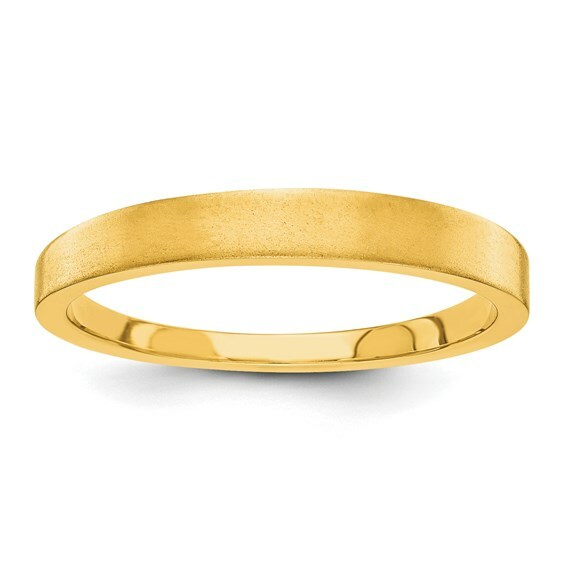 This 3mm tapered wedding band is made of 14kt yellow gold. Satin finish and flat edges. Width: 3mm. Size 7 band weighs 2.55 grams. Standard fit. Made in the USA.